Seems like just about the time you get comfortable enough to lower your guard, something unexpected jumps out at you and screams, "Gotcha!" fter she's diagnosed with breast cancer, forty-nine-year old Tess sets forth on a mission to complete her TO-DO List before, what she's sure is, her impending death. She needs to make peace with her estranged sister, Birdie, scatter her mother's long-kept ashes, rescue her daughter, Haddie, from the grip of an eating disorder, guide her teenage son, Henry, through a bumpy adolescence, and reignite the spark in her almost thirty-year marriage to her husband, Will. Tess is aided on her quest by narrator, Grace, who lends the story its most brilliant elements: subtle magical realism and deep psychological complexity. Is Grace an imaginary friend, guardian angel, or a part of Tess that knows better than she? The Resurrection of Tess Blessing is by turns poignant, gritty, spiritually uplifting, and hilarious as hell. Lesley Kagen has created an unforgettable, redemptive story about a middle-aged woman with the odds stacked against her, who discovers that in the end, love really does conquer all. A MIDWEST INDEPENDENT BOOKSELLERS CONNECTIONS PICK! Check out these READER REVIEWS! "Tess' emotional journey makes for compelling reading . . . a richly detailed, deeply resonant story of a woman of incredible strength." "Told with abounding humor and wit, The Resurrection of Tess Blessing is an engaging page-turner that women everywhere will relate to...an intimate and uplifting character sketch of a middle-aged woman's life journey, filled with the unexpected twists and turns and sage wisdom that come with the passage of time." "How wonderful it is to spend time inside Lesley Kagen's creative mind. In The Resurrection of Tess Blessing, Kagen deftly illustrates her gift for blending the serious and the funny, the light and the dark. With a touch of magical realism, she once again creates a story that's as hopeful as it is poignant. As a reader, I feel safe in her hands." "Kagen's talent shines in this wholly original and richly imagined story where unbearable heartache is softened with humor and a touch of magic." "Read The Resurrection of Tess Blessing, but don't read it in public because it'll yank the emotions out of you. You'll laugh, you'll cry, and by the end you'll be Tess Blessing's best friend." 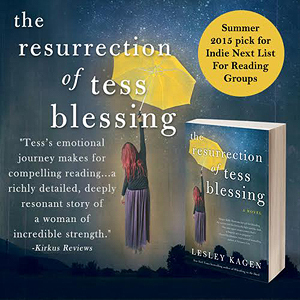 "The Resurrection of Tess Blessing is Lesley Kagen at her finest, magically weaving together a tale of poignant regrets, powerful aspirations and forgotten dreams through Tess, a woman who is really a bit of each of us. 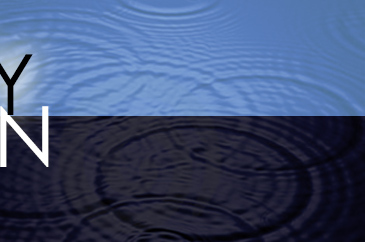 By traveling this journey with Tess we are shaken, uplifted and transformed." "Confronting her own mortality, Tess Blessing, a lifelong list maker tackles the only To-Do list that matters: healing fractured relationships, and empowering the children she fears she will leave behind. Poignant, funny, and searingly wise, The Resurrection of Tess Blessing will stay with you long after you turn the last page." "The Resurrection of Tess Blessing is helmed by the most interesting narrator I've read in ages. She and her gifted author, Lesley Kagen, lead us through heartbreaking, humorous, compassionate twists and turns until we find ourselves on the other side, wiser but also, appropriately, resurrected and blessed. It is a journey I was delighted to take." "I was hooked from the get go. Tess Blessing's story is quietly inspiring. With faith, hope, grace, and humor she shows us how to keep moving forward in the face of fear, uncertainty, and pain...Put one foot in front of the other and call in your oldest friend."